The land development is based from BP 220 rules and standards, comprising basically of lot areas measuring 40 square meters each. The housing units will be townhouses each with a floor area of 44 square meters, two bedrooms, tiled toilet and bath, living room, dining area, tiled kitchen counter with stainless kitchen sink and front lawn. 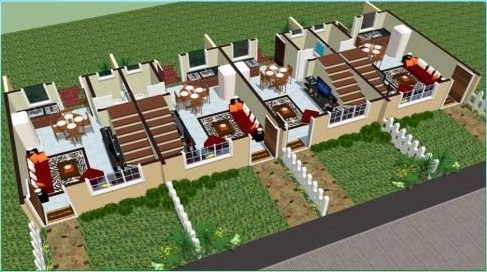 The houses are constructed using conventional system with concrete hollow block walls, concrete floor slab, board ceiling, corrugated GI roofing, hollow core doors and steel casement glass windows. 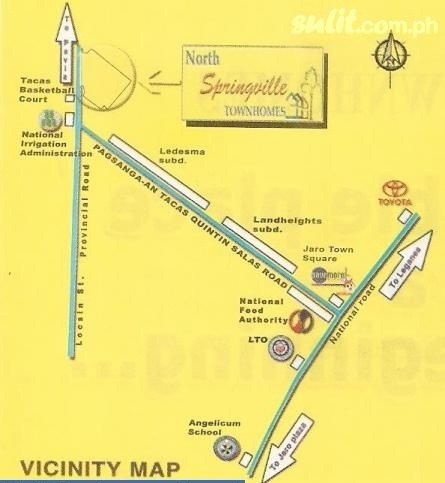 North Springville Townhomes is near to shopping malls, schools, hospitals, markets, churches and recreational places. Do you like the features, model houses and floor plans of North Springville Townhomes? Available pa sya Sir? How much? Rfo unit available, assumed payment 3br.